We offer tailored seminars or smaller interactive workshops to clients and potential clients as well as property, law and tax professionals. These explain how property taxation savings could be optimised in this highly technical area of property tax & fiscal incentives. Whether your, or your clients’, projects involve large scale commercial property portfolios or smaller scale individual properties, such as furnished holiday lets (FHLs); having an overview on Capital Allowances, VAT, CIL and other specialist property tax issues. For advisors, this will give you a better ability to spot opportunities on behalf of your current clients and generate savings for them – truly adding value as well as steer around any pitfalls. At the design stage of a project, having even a basic awareness of Capital Allowances or VAT and knowing where to go for advice will allow pertinent and cogent questions to be asked early on, before investments decisions are made, meaning that projects can be developed in conjunction with potential tax incentives. We are often introduced early on in the design process to bridge the communication gap between the client, their professional advisers and wider project design team. Our input enables the client to make well informed, robust, business decisions allowing them to optimise the cash flow benefits and ensure that project structures don’t undermine the tax benefits. 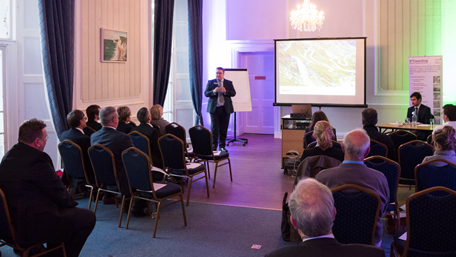 Our events are friendly and informal to encourage some debate and discussion around the issues and also provide an opportunity for networking & mingling with likeminded individuals. E3 Consulting has consistently identified enhanced tax savings on more than 80% of cases reviewed. Given the significant changes in property taxation over the last five years, it is critical to engage experienced advisors familiar with the operation of the legislation and competent to prepare detailed claims and substantiate the workings if required to HM Revenue & Customs should they challenge or review the claim or tax return. E3's specialist team is nationally recognised having won the Tax Award in 2011 for Best Tax Consultancy Team and shortlisted finalists in both 2014 and 2015 Taxation Awards. We can help with each distinct stage of work or the whole project from start to finish to optimise your tax savings. If you are interested in hearing more about our property tax workshops & roundtables, or wish to organise a CPD/CPE event please contact one of our team.